Check out the stunning look of Giallo Ornamental granite, a light, versatile, medium-variety granite from the quarries of southern Brazil. Giallo Ornamental granite is a smooth, creamy granite with unique mineral deposits and patterns scattered around it. 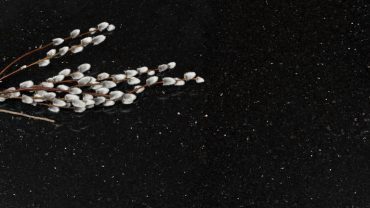 From far away, this kind of granite seems to be relatively uniform in appearance, but up close it can have a variety of highly detailed designs inlaid in the stone. Quarried in southern Brazil, slabs of this stone are incredibly useful in interior design because they don’t have a lot of noticeable variation in color or pattern between slabs. This means you can use different pieces of this granite for your kitchen countertop, bathroom countertop, or a granite tile border or back splash around your kitchen. Although the stone appears to be a cream color, it actually can have a background color that ranges from pure white to light gray. This background neutral makes this granite a great countertop option because it is able to go with so many different kitchen interior designs. Giallo Ornamental is particularly interesting as a granite countertop option because of the gold flecks and other minerals in the stone. These minerals can range from a light cream color to a light amber or honey tone. Although these tones are light, they can contrast well with the white or light background of the stone. Dark brown minerals make up a small portion of the stone slab, but add a stunning depth and diversity to the color palate of this kind of granite. Granite countertops come in many shapes and sizes, so you are able to pick out the granite look you like the most. Giallo Ornamental granite can come in different variations, which can mean there is more or less mineralization in a granite slab. When you are considering a slab of Giallo, make sure to look at it first to see if the pattern and mineralization are what you are looking for. Giallo Ornamental granite countertops are very strong, and their design allows them to resist stains and scratches. 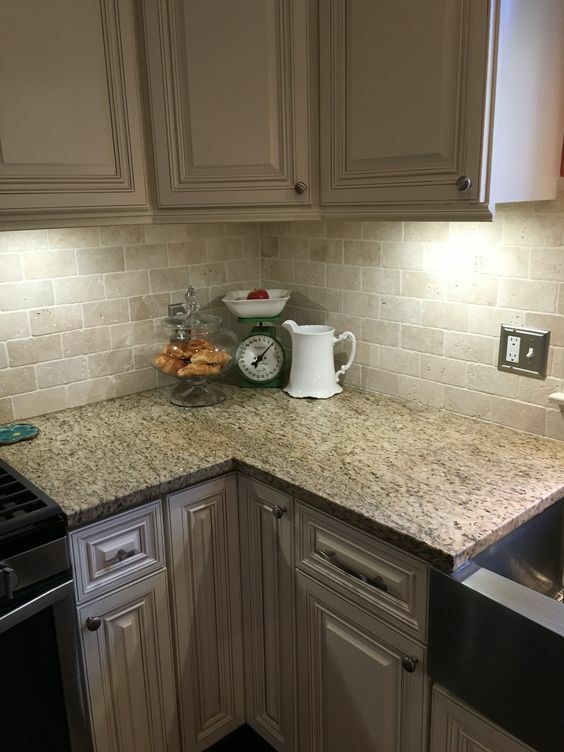 The lighter stone color allows this granite to brighten up kitchens that may not have a lot of natural light coming in. 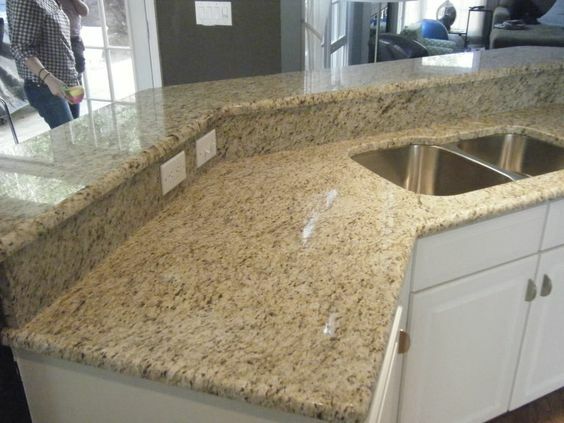 This kind of granite is also very affordable, without making your countertops look like they are cheaply made. A 3-centimeter thick slab of Giallo Ornamental typically costs about $30 to $40 per square foot, while a 2-centimeter slab may cost around $20 to $25 per square foot. Giallo Ornamental can go with many different kitchen cabinet or kitchen paint colors. 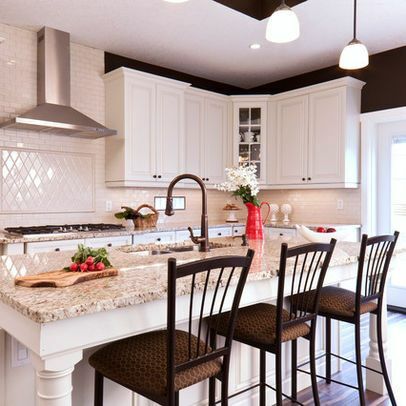 If you have a darker cabinet theme, the darker minerals in the granite will blend in with the darker cabinets, while the light background of the granite keeps the kitchen from looking or feeling too dark. 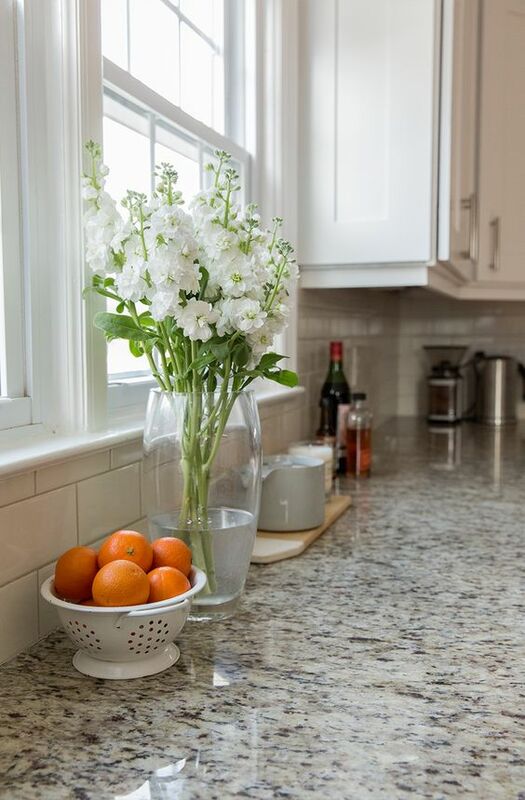 This kind of granite can also contrast well with white or lighter cabinets and bring balance to a monochromatic kitchen. 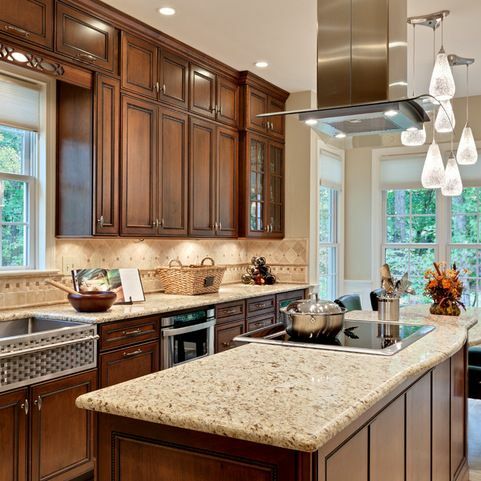 Whether you are using dark tones, light colors, or wood accents, this granite variety is highly versatile. Additionally, this granite can be used to create a strong surface for a kitchen island, or used in your bathroom for your bathroom counters. 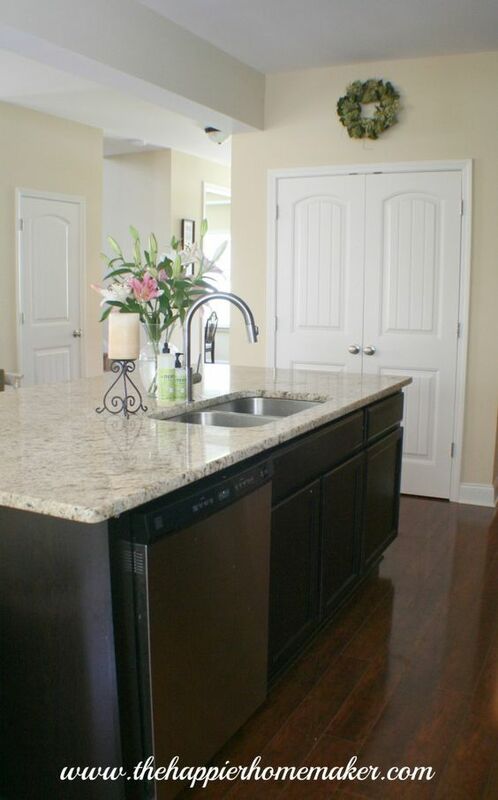 A combination of light cabinets and dark floors can bring in the design elements of your granite. 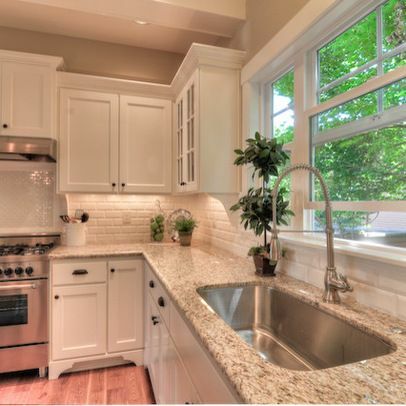 Natural light can make your granite countertop sparkle. 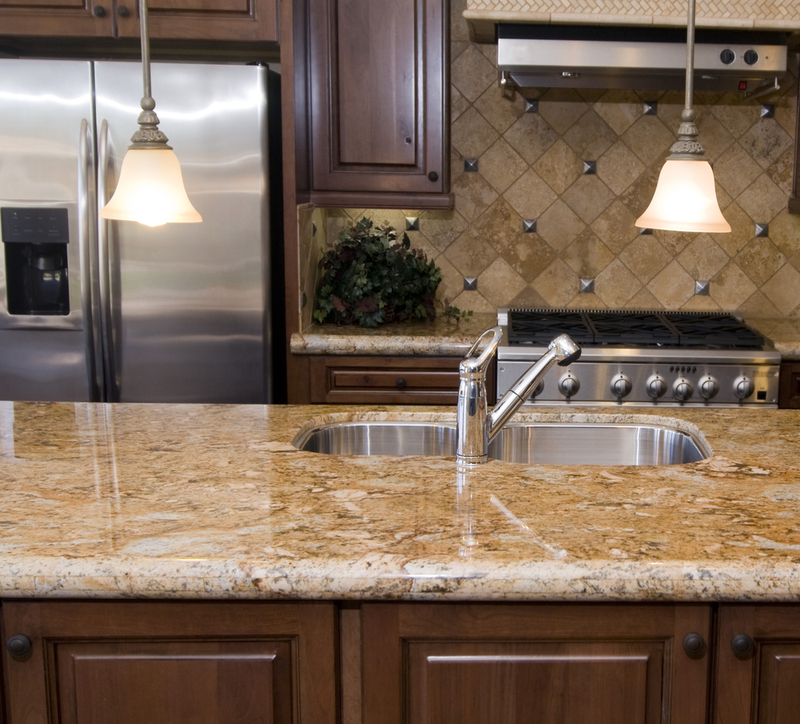 Giallo Ornamental granite can brighten up your kitchen space. 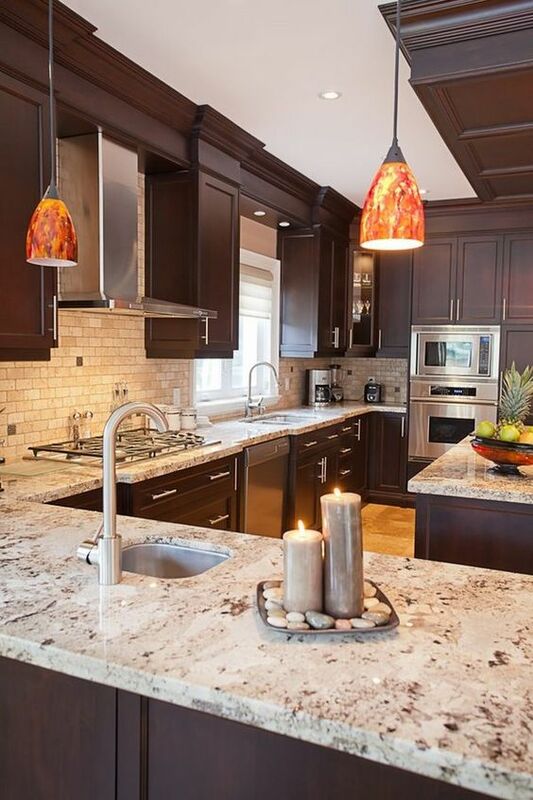 Dark cabinets can accent the darker minerals in your granite countertop. 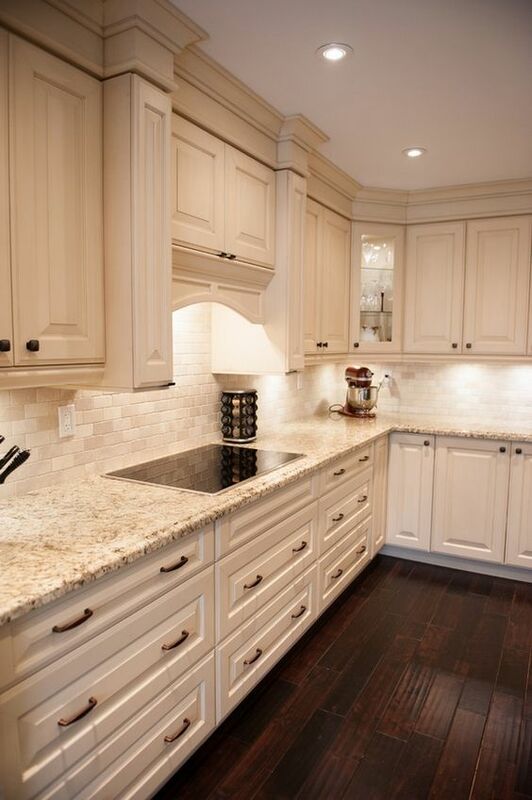 Wood stained cabinets can highlight the detail in your granite. From far away, Giallo Ornamental takes on a creamy hue. 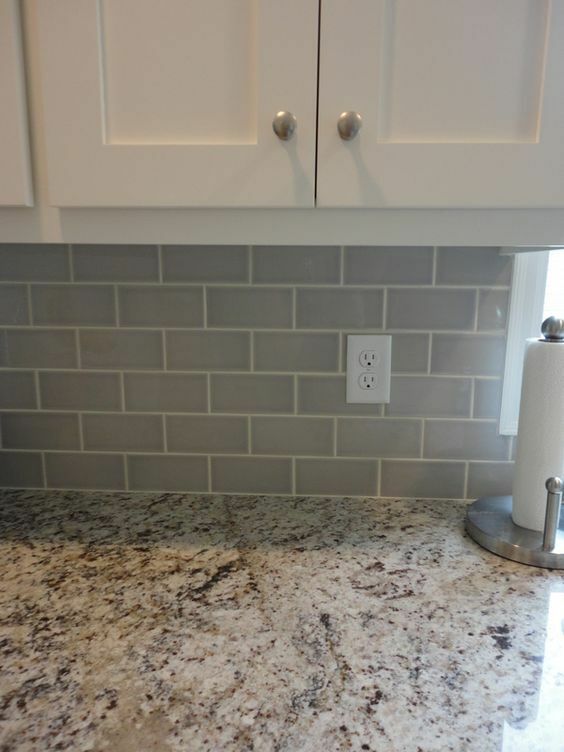 Giallo granite can go great with a gray tile backsplash. Monochromatic paint colors can go well with light granite countertops. Mix wood and metal elements to make your kitchen interior design pop. Dark kitchen island designs can add a focal point to your kitchen.